With the holiday season around the corner, naturally, I am looking for pretty dresses. This year I've got the usual list of events plus my very close friend is getting married on New Years Eve. I am in her wedding and therefore have a couple events to attend that weekend. This means I need more dresses, and being pregnant is not making the search easy. 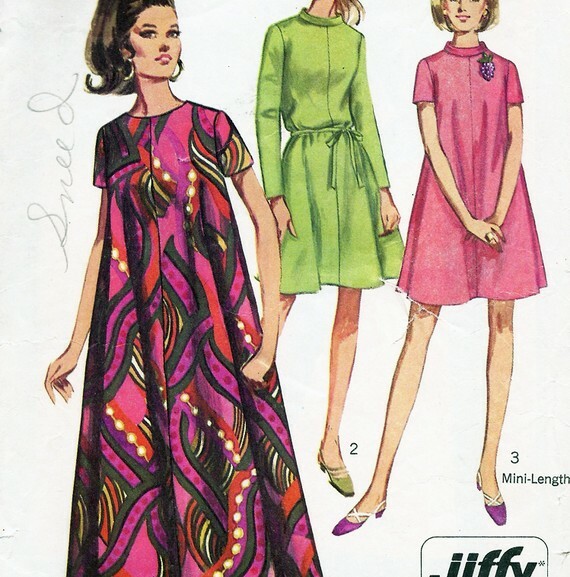 I've decided to sew some pretty 1960's style shifts. I just bought the pattern pictured above to start with. If you look at the lines on that pattern, you can tell how easy it is going to be to make! I think making the mini version with a shimmery, beaded neckline would be adorable. I'll post pictures of whatever I end up making when the time comes.